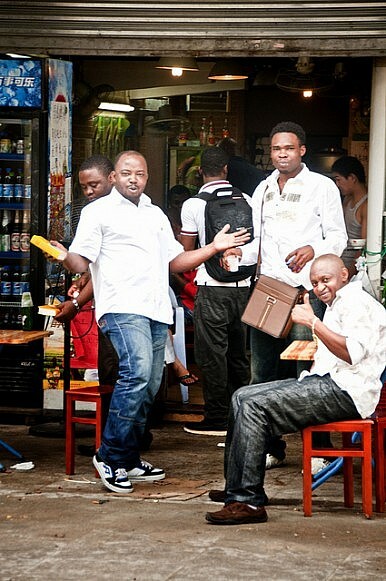 Guangzhou is home to a burgeoning African population. Can it handle the influx? Last week the Wall Street Journal reported that many governments are starting to reduce visa and citizenship requirements in order to attract wealthy Chinese immigrants to invest in their cash-strapped economies. In particular, countries in Southern Europe and the Caribbean are avidly trying to attract Chinese immigrants by providing them unfettered travel access or cheap real estate options to purchase homes. As Chinese citizens are tempted by these governments to invest and relocate abroad, China has been experiencing an influx of immigrants as well – many of whom have come from Africa. Guangzhou, one of China’s largest cities and a main manufacturing hub in the Pearl River Delta, is home to over 20,000 Africans who hail from West African countries such as Nigeria, Mauritania, Mali, and Guinea. Some claim that the numbers are actually closer to several hundred thousand African residents, with 30-40 percent growth in African immigration each year. As China continues its push into Africa in pursuit of economic resources and important diplomatic relations, many Africans are coming to China in search of job opportunities. Many African entrepreneurs buy cheap Chinese goods, such as knockoff brand jeans, shoes, and jerseys – and sell them back home for a profit. Others capitalize on higher-end products such as electronics, furniture, and motor vehicles. Aside from commercial activities, Nigerian missionaries have also traveled to Guangzhou to spread their faith and help the large African community that has developed in Guangdong Province. Most of Guangzhou’s African population is located in Xiaobei, earning the 10 kilometer area names like “Little Africa” or “Africa Town” – similar to the “Chinatowns” found throughout the U.S. where Chinese immigrant populations reside in large numbers. Africans are attracted to this area because of its Muslim restaurants and the African community that has already been established there, making it easier to transition into a new environment. Some Chinese locals refer to this area as “Chocolate City”, which could certainly be construed as discriminatory. Many of Guangdong’s Africans are illegal immigrants or people overstaying their visas. As the problem of illegal immigration has gotten worse, the local government has started cracking down. Illegal immigrants who are caught by local authorities are often imprisoned and charged a hefty fine. In some cases, these immigrants have had their homes raided or were severely beaten. Some immigrants have even taken to the streets to protest how authorities have treated them. While local authorities certainly should treat these individuals more humanely, many of these problems stem from the fact that Africans are not respecting Chinese laws and are not applying for the proper documentation to legally reside in China. Many immigrants ignore these laws because getting long-term visas is difficult, especially compared with 30 day visas. Perhaps the answer to the problem lies in the need for the Chinese government to make long-term visas more accessible to Africans. As African nations welcome China to do business in their countries, China should more diligently return the favor. Also, if more Chinese decide to emigrate to areas like Southern Europe or the Caribbean, the Chinese government may want to adjust its immigration policy to allow Africans to stay in the mainland for longer periods of time in order to retain a labor force that can keep fueling its economy.